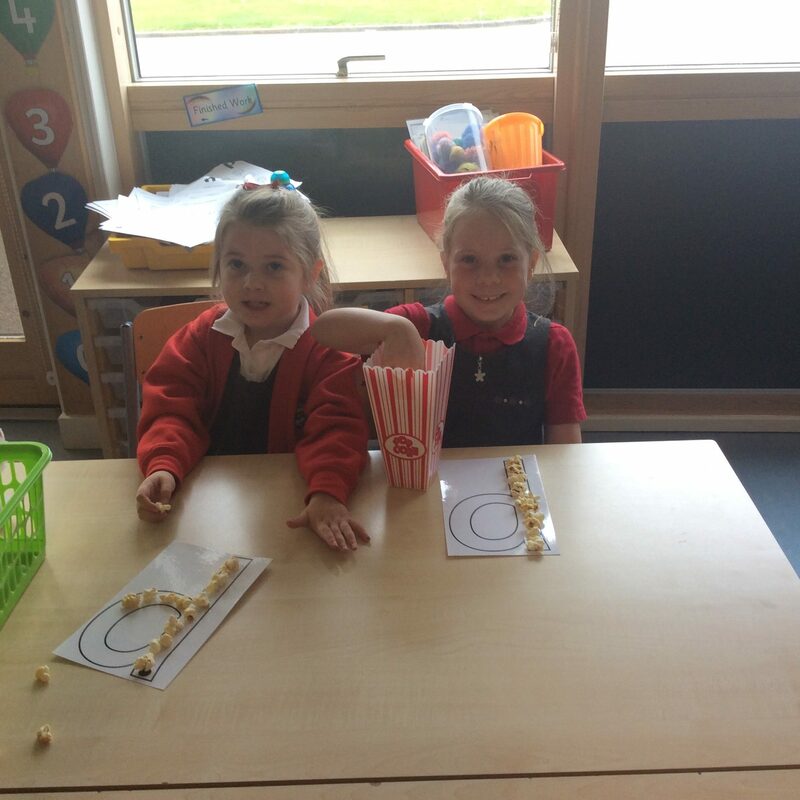 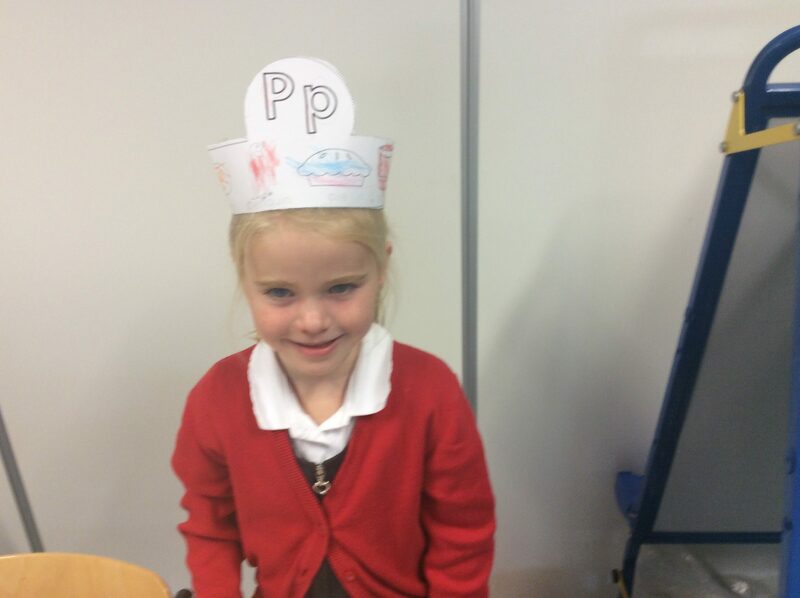 Our Primary 1 children have now learned to recognise and write 6 letters in class. 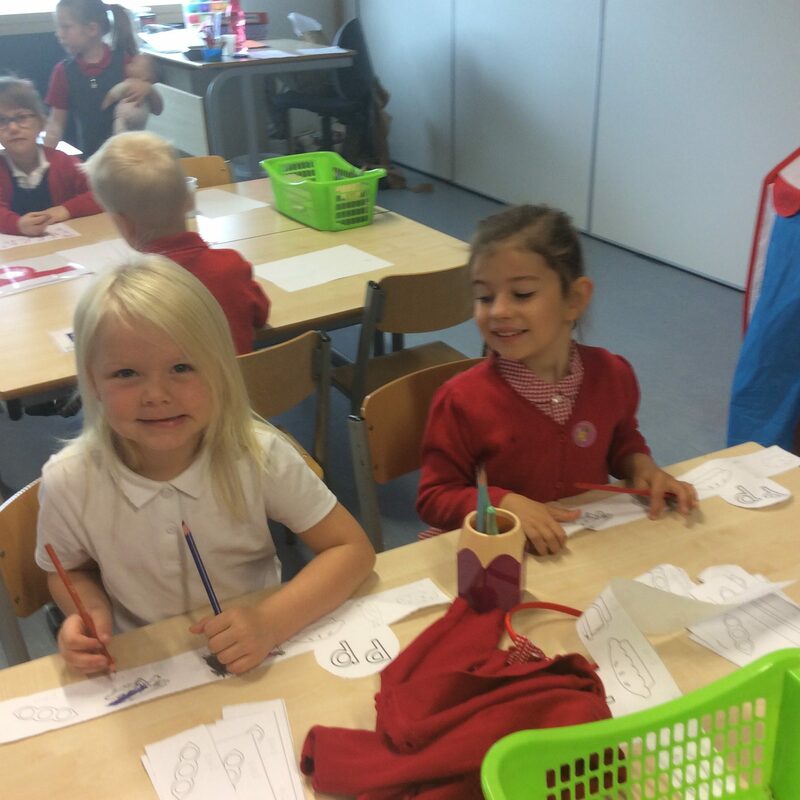 The children learn a song and action to help them remember the letter sound. 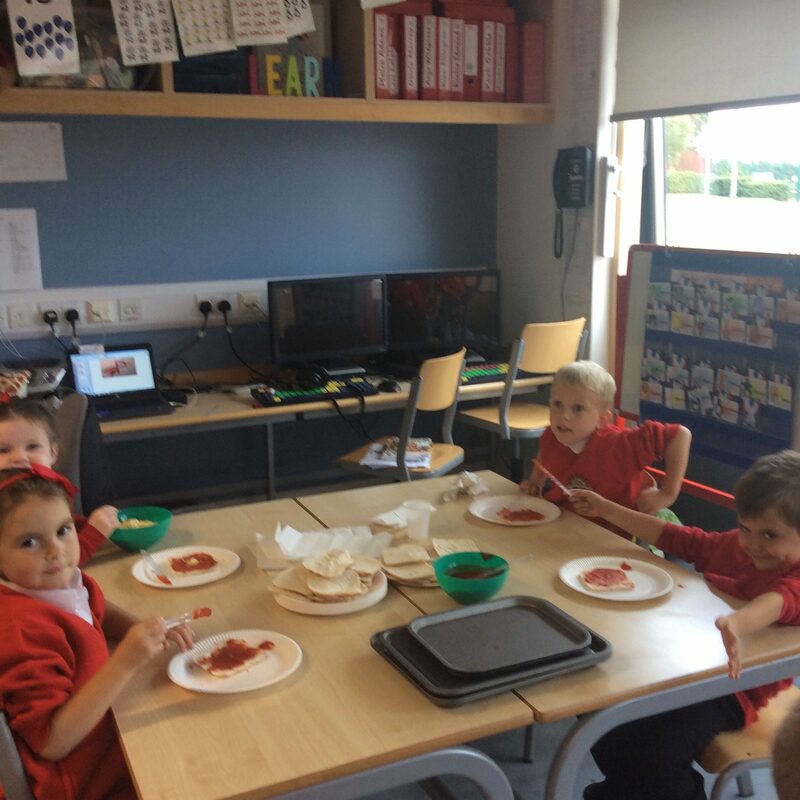 Here is the class singing the song for the p sound. 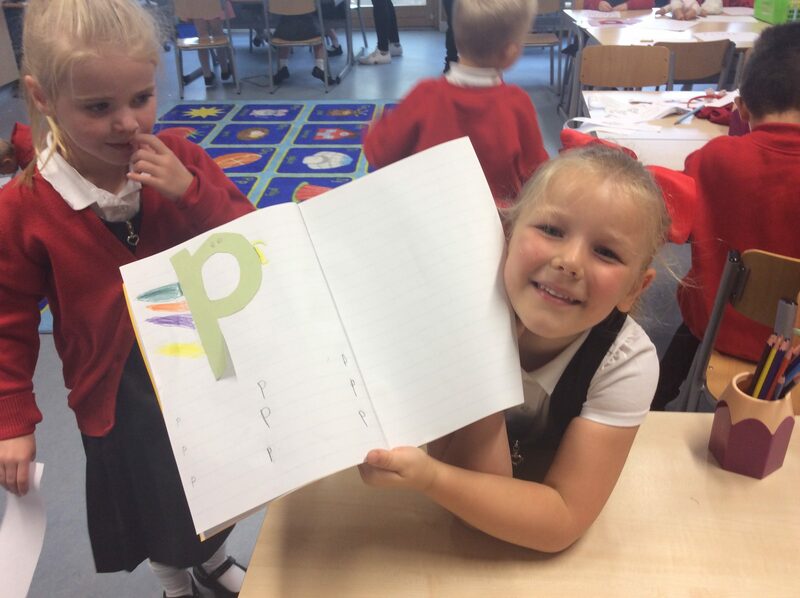 For every letter, the children work with the teacher on a written activity in a jotter to help develop the correct formation. 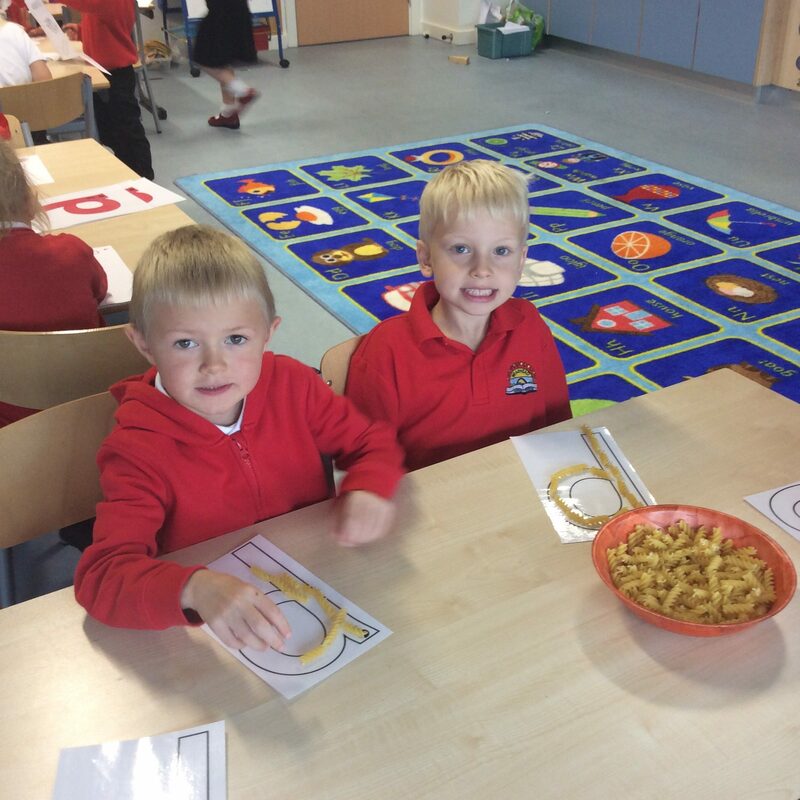 They then take part in fun activities where they learn through play and hands on experiences. 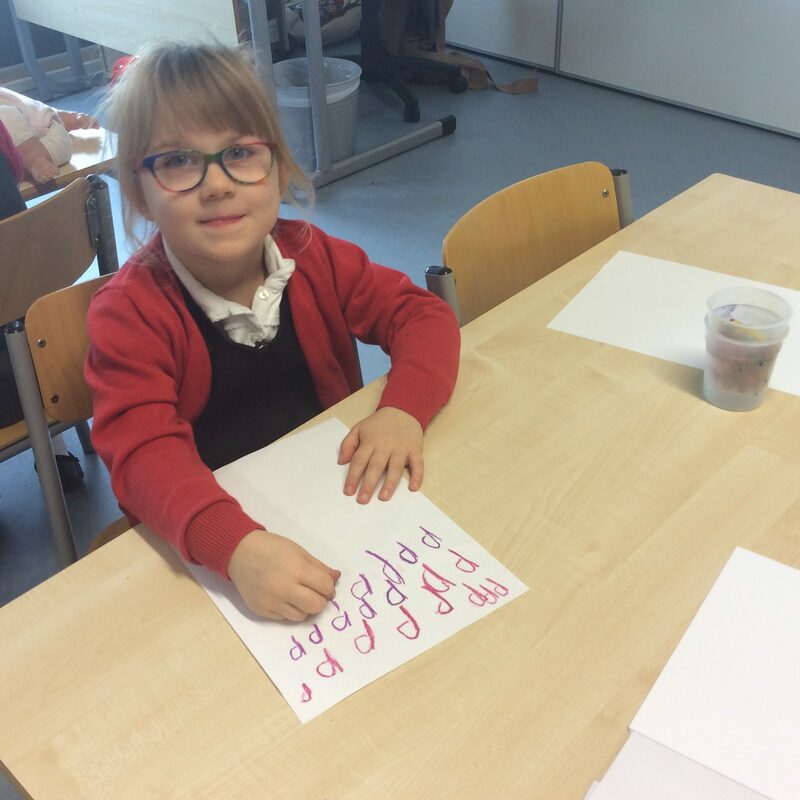 These are designed to help children develop motor control, understand words that begin with each letter, form the letter and also work on skills from other areas of the curriculum. 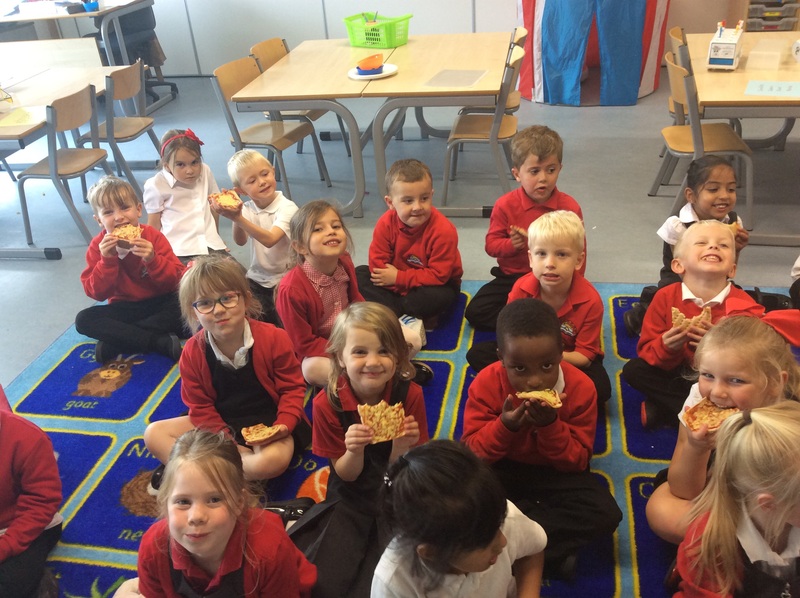 For letter p, children made individual pizzas, made a letter p word hat, formed p with pasta and popcorn, wrote p in pink and purple and created a Pikachu P.